It’s unfair to label anyone as the next Steve Jobs but we do it anyway. The allure is too compelling. My nomination goes to Tesla (TSLA) CEO Elon Musk. His electric car startup just sold over 4,750 premium Model S units with a starting price of $52,400 in Q1. The comparable BMW 7-series sold 2,338 units, the Mercedes-Benz S-Class sold 3,077, and the Audi A8 sold 1,462. 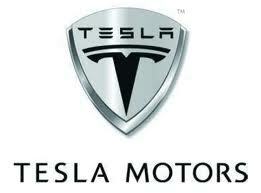 Q1 is the first profitable quarter in Tesla Motors Inc (NASDAQ:TSLA)’s history. The Model S was the unanimous choice for Motor Trend’s 2013 car of the year. We don’t normally start with the car’s bonus features, but in the case of the 2013 Ford Motor Company (NYSE:F) Fusion Energi, it’s such a delicious one that we couldn’t resist: when you buy this car, the bonus feature is that the front end looks kind of like an Aston Martin. Not many midsize sedans – I can’t think of any offhand, save an echt Aston Martin and it’s not quite in the midsize sedan niche – get to clone one of England’s fabled grand touring cars. It’s the grille. With its five horizontal slats forming a shape that looks like an upside-down smile, it’s nearly identical to the one that personifies any number of Aston Martins over the years. There’s a lot that’s interesting about General Motors Company (NYSE:GM) new Buick Riviera concept car, and I’m mostly not talking about the way it looks. Of course, there’s no doubt that it’s visually very striking. The Riviera Concept, which made its debut at an auto show in Shanghai on Friday night, is a coupe that combines sleek lines with an elegant evolution of the front grille that has become a Buick trademark in recent years. It’ll almost certainly never be put into production – at least not with all of its fanciful show-car details like the huge gull-wing doors. But there are (at least) three things that should make this Riviera quite interesting to those who follow General Motors Company (NYSE:GM)’s efforts closely. The world’s biggest auto maker hopes a newly redesigned entry-level compact it is rolling out at the Shanghai international auto show will help the company get its zip back in the world’s biggest auto market–but one it has struggled to understand. Toyota Motor Corporation (ADR) (NYSE:TM) introduced two versions of the compact–the Yaris hatchback and the Vios sedan–at China’s premier auto show Sunday. Toyota hopes the new models will right some strategic missteps that have hurt sales in China, a situation that was exacerbated by a territorial dispute over islands in the East China Sea claimed by both China and Japan, and which led to a boycott of Japanese-brand products last autumn. Google Inc (GOOG): Does It Need to Change Its Business Plan? International Business Machines Corp. (IBM): Three Secrets to Success for the... Ford Motor Company (F): Will Surging Sales Outweigh European Losses? Apple Inc. (AAPL): How Cheap Will The “Cheaper” iPhone Be? Ford Motor Company (F), General Motors Company (GM) And The Truth About American... General Motors Company (GM): Will It Pay Big to Close This Factory?